It’s London Fashion Week, style lovers! But if there’s one thing we know about LFW it’s that the clothes are only part of the story – scoping out new hair and beauty trends is one of the best parts of the week. Before you start any style – whether up or down, curly or straight – you need a great base. 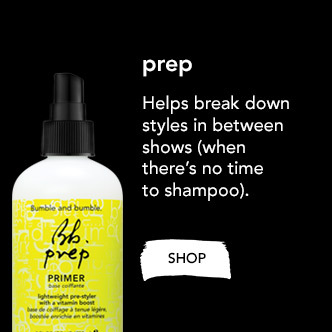 Prep is nutrient-rich, water-like lotion that is perfect for helping you to simulate the weight, shine and general receptiveness of ‘second day hair’, meaning less flyaways and easier styling. As well as adding weight it detangles hair for smoother brushing and when you need to quickly restyle your hair, it refreshes your style. It’s a hero. If you’re not blessed with the naturally glamorous locks of a supermodel (and let’s face it, there’s not many who are), it’s easier than ever to fake it. 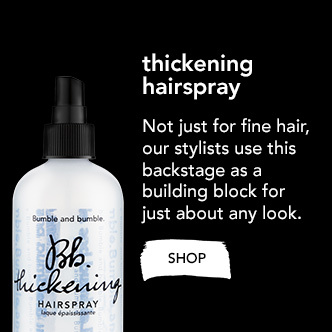 The Thickening Hairspray is the perfect foundation for building volume and body without heaviness or stickiness, boosting hair with natural-looking thickness that makes any style look at least 47% more bodacious – we’ve done the maths. If you’re already a fan of Bumble and bumble, chances are you’re already well acquainted with this icon. 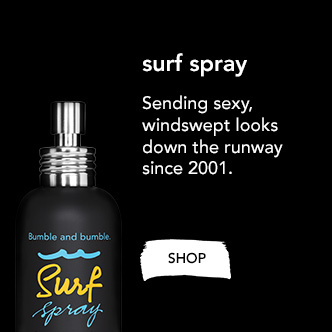 Surf Spray is the original mussed-up texturiser, creating subtle volume and hold with a matte, naturalistic finish that says, “hey, I’m all about the beach life”. Spray it in and zhush your hair up at the roots for a fresh look, or layer up the texture to make your beach babe dreams a reality. When you’ve pumped up that volume and created your ideal style, you’ll be wanting to keep it in place. 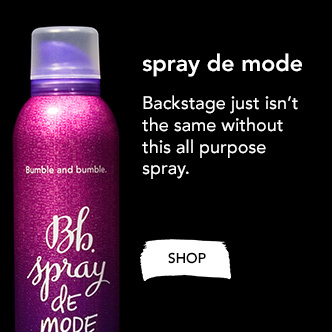 Spray de Mode is an all-purpose hairspray that has it all: a strong hold, a flexible finish, and a lightweight, satiny look that has exceptional style memory. It’s just perfect for styling and restyling your hair – just run a brush through your hair and reshape. 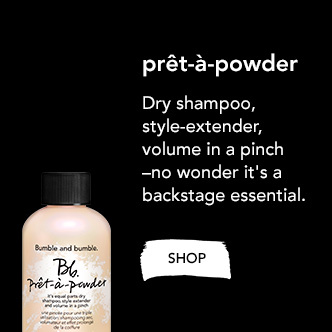 Another restyling sensation is Pret-a-Powder, a seriously versatile little bottle that contains an ultra-fine styling powder. For matte, blown-out looks, this is your #1 guy. Its blend of natural starches and clay absorb excess oil and create an ideal foundation for building volume, making it as ideal for funking up squeaky clean hair as it is for refreshing styles that are a day or two old. And finally, a product that creates a look that is about as rare as a unicorn sighting. Full, glamorous and textured hair – without any weight. 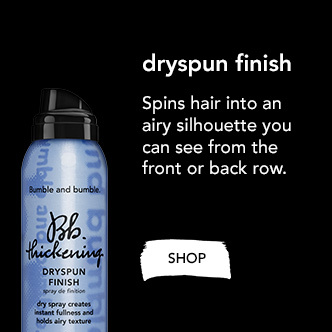 Thickening Dryspun Finish works to create bigger styles without any of the associated crispiness and residue, helping you to build your hair up from the roots with minimum fuss. Its light to medium hold means that it’s particularly good for loose styles. No helmet hair here! This entry was posted on Friday, February 20th, 2015 at 9:24 am and is filed under Get the Look, Haircare, Hints & Tips. You can follow any responses to this entry through the RSS 2.0 feed. You can skip to the end and leave a response. Pinging is currently not allowed.